Below you can view all the homes for sale in the Emerald Plantation subdivision located in Mcdonough Georgia. 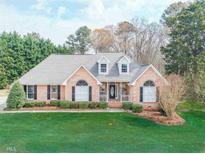 Listings in Emerald Plantation are updated daily from data we receive from the Atlanta multiple listing service. To learn more about any of these homes or to receive custom notifications when a new property is listed for sale in Emerald Plantation, give us a call at 404-998-4089. New Heating And Air System Installed 4/3/19 With Dual Heat Option. 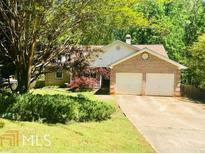 MLS#8564239. Coldwell Banker Bullard Realty. Home Comes With A 30-Day Buyback Guarantee. Terms And Conditions Apply. MLS#6535313. Opendoor Brokerage, Llc. Large Rooms And Vaulted Ceilings Add To The Open Floor Plan, And Natural Light. Call Today For An Appointment. MLS#8551324. Southside, Realtors. This Is A Great House, Must See ! MLS#6519893. Palmerhouse Properties. House Freshly Painted As Of 12/13 MLS#6109761. Exp Realty, Llc..